Life is supposed to be just ducky, but weather-wise, we know we are in trouble when ducks start wearing raincoats to protect themselves from the wet winter season. But for the sighting of Mandarin duck at Deer Lake maybe they are defecting from East Asia and heard Canada is on the 2019 list of best countries in the world to live. It’s been a strange week to see Wild Birds Unlimited dressing up these ducks. Mind you, it’s stranger still to see people walking their dogs and talking to them. When I went home, I told Lucy, we both laugh hysterically. So, how was your week been? This entry was posted in Animals, Uncategorized and tagged ducks, Humor, Just Ducky, Lucy, Mandarin Duck, Pets, Photography, TGIF by Perpetua. Bookmark the permalink. Hi there Perpetua, we are sharing the weird weather here, really cold all week then nice and mild today. 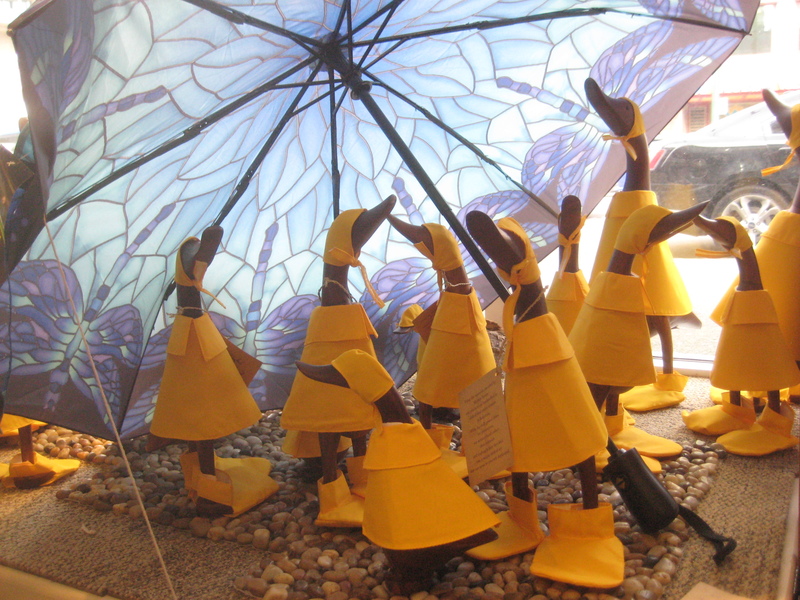 No ducks with raincoats though! I been ill, which is not great, and unusual, but it’s given me tome to catch up on a few things at home, and my blog! So silver linings as I always say! Sorry to hear you are unwell, Gav. If you were given a lemon, make lemonade with your kids. Be Well. Thanks, I make hot lemon with Ginger and Garlic. That really seems to help. Yay, with honey and cinnamon stick is delicious. Good for you!